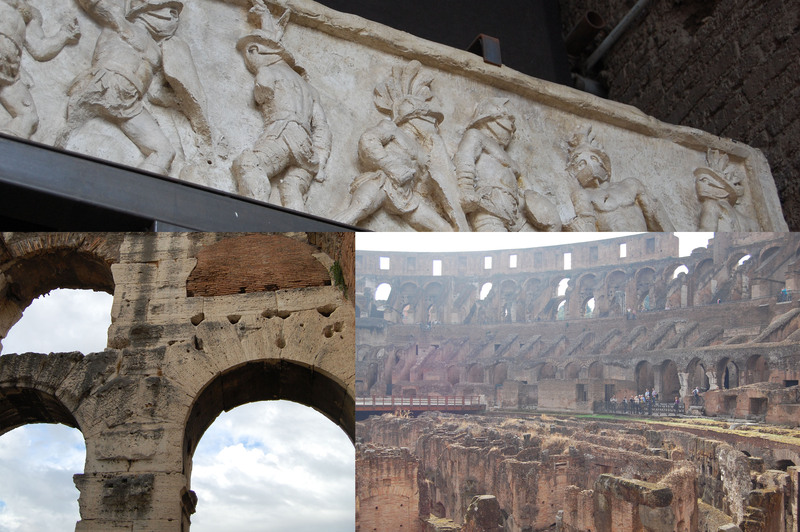 If you guessed Italy, Rome, or the Colosseum for yesterday’s Wordless Wednesday you’re right! 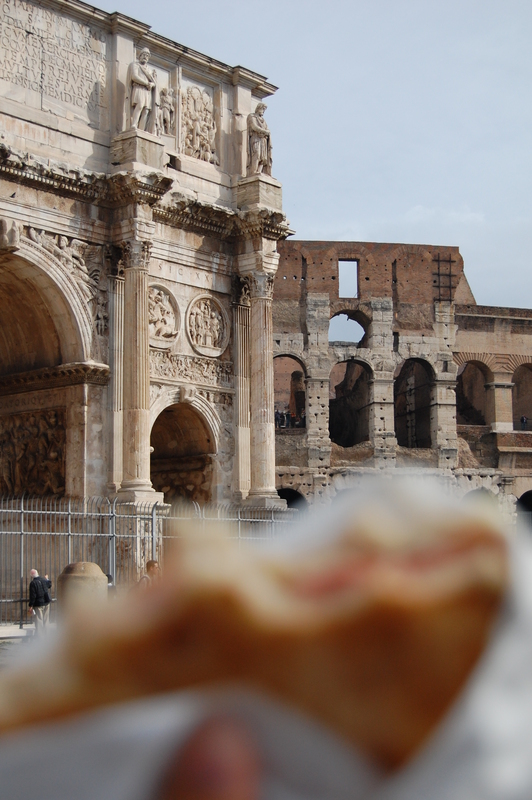 I grabbed a panini and munched while admiring the Arch of Constantine and the Colosseum. Last October my husband and I spent 7 days in Italy, 3 days in Rome, 2 in Florence, and 2 in Venice. 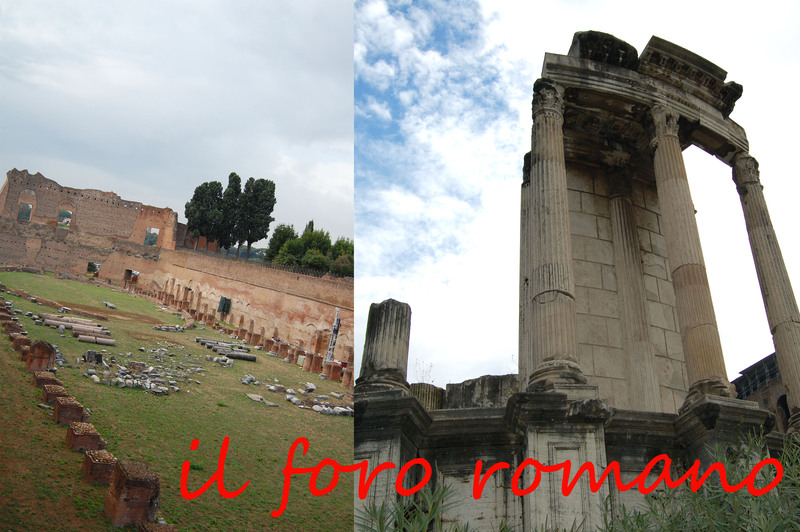 According to my Rick Steve’s guidebook, at one point either you were Roman or Barbarian. After viewing the growth of the Roman Empire above with the black stone depicting non-Romans and white stone depicting the Roman Empire, I could understand why. With our Roma Pass (which I highly recommend getting for the cut the line and money saving benefits) we hit the Colosseum on our first day. 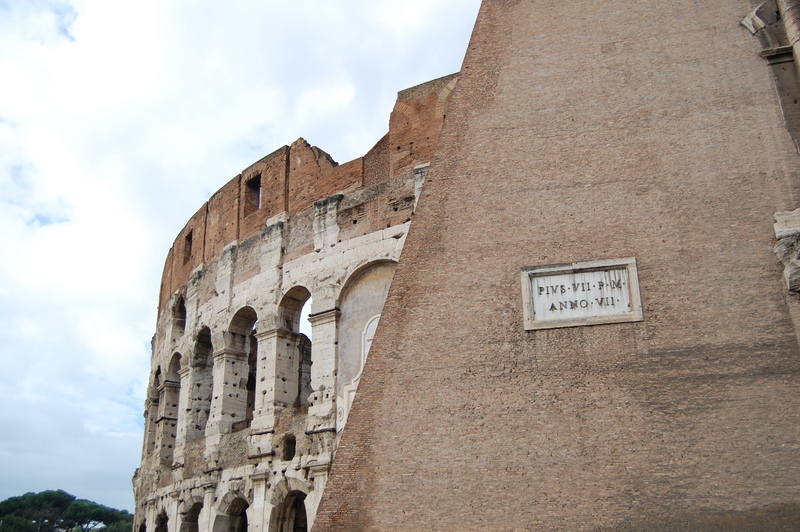 Built in 80 AD the Colosseum could accommodate about 50,000 people. The main spectacle of the Colosseum was the gladiators, but exotic animals were also displayed and hunted, in addition there was the occasional execution. We missed the opening of the underground tunnels by a week! I guess we’ll just have to go back to see what it’s about. 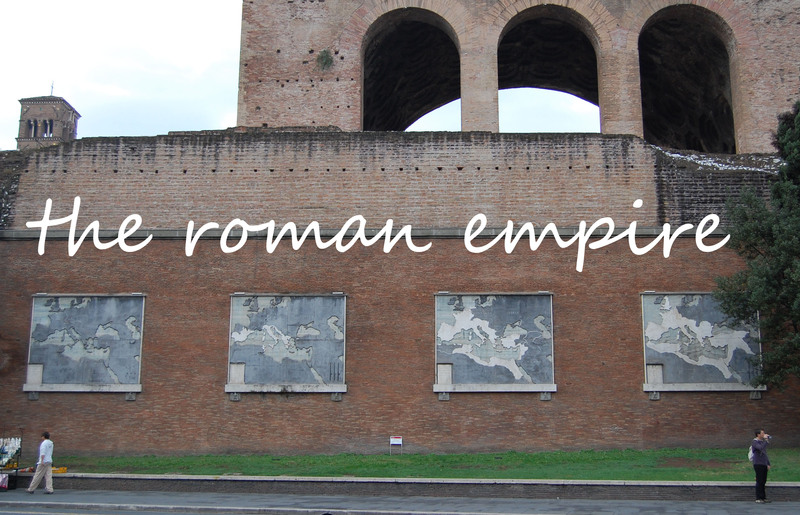 A hop, skip, and a jump away from the Colosseum is the Roman Forum, vast ruins of ancient Roman government buildings. Just amazing to witness the crumbled columns, headless statues, and half-standing buildings. 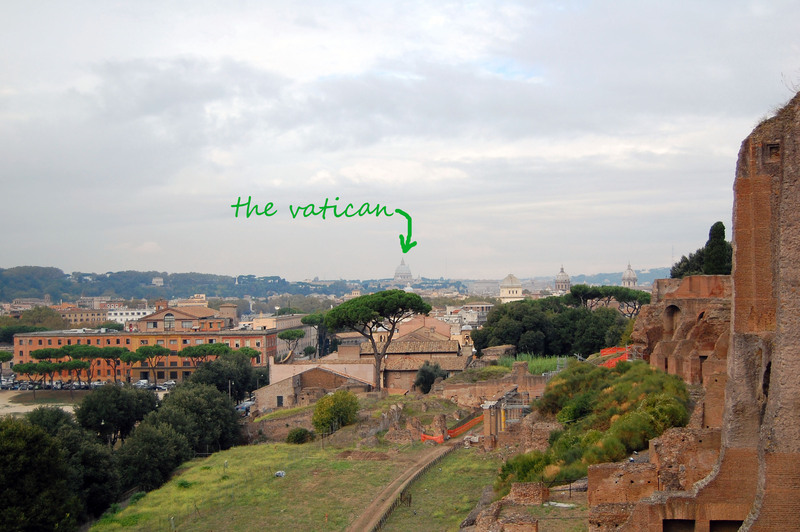 You can actually see the Vatican from the Forum. Leave the stilettos to the Italian bellas, bring comfortable shoes to Italy, lots to explore, see, and eat. Speaking of eating, all that walking makes for a big appetite. For lunch we dined at divinOstilia Wine Bar behind the Colosseum. I had the strozzapreti speck e funghi, pasta with speck ham, mushrooms, and Parmesan. Hungry yet? I am. 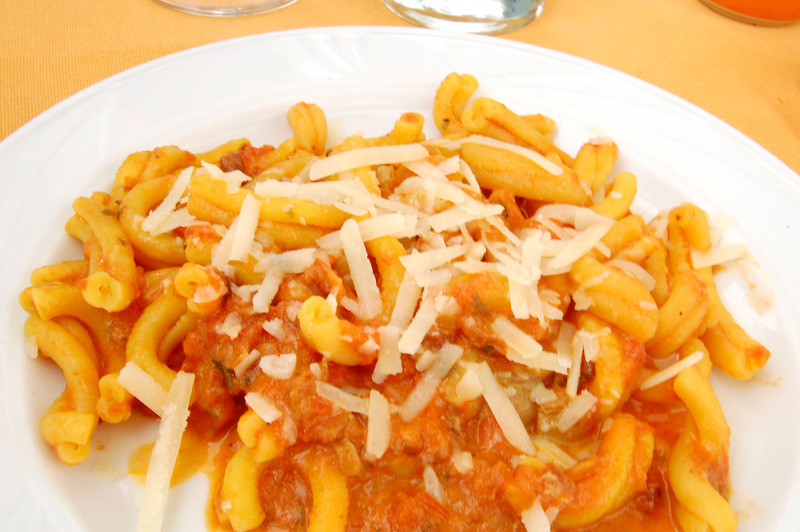 To create this dish stateside, you can use trofie pasta or penne and add mushrooms and parm to an amatriciana sauce. In my Everyday Food magazine there’s a recipe for orecchiette with bacon and tomato sauce. Is it just me or is it hard to find anything other than spaghetti, penne, or elbow macaroni in regular grocery stores? With no orecchiette (ear-shaped pasta) available, I subbed penne. In a medium saucepan, heat oil over medium-high. Saute mushrooms until cooked and set aside. Add bacon/speck and cook until browned and almost crisp, about 4 minutes. Add onion and cook until softened, 3 to 5 minutes. Add garlic and red-pepper flakes and stir until fragrant, 1 minute. Add tomatoes, breaking them up as you go, and season with salt and pepper. Bring sauce to a boil; reduce to a simmer and cook until slightly reduced, 15 minutes. Add sauce to pasta and toss to combine; cook over medium-high until sauce thickens and coats pasta (add pasta water as necessary), about 2 minutes. Serve pasta topped with Parmesan and parsley. 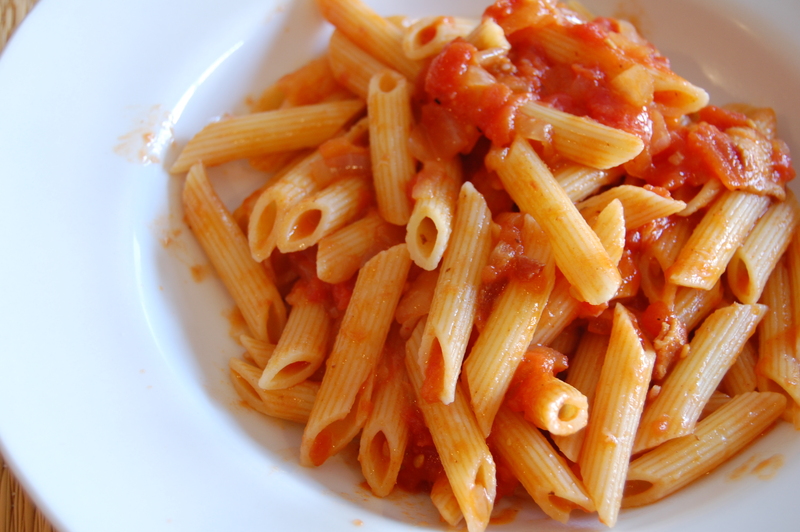 I love Italian food, so tasty to have in a day!